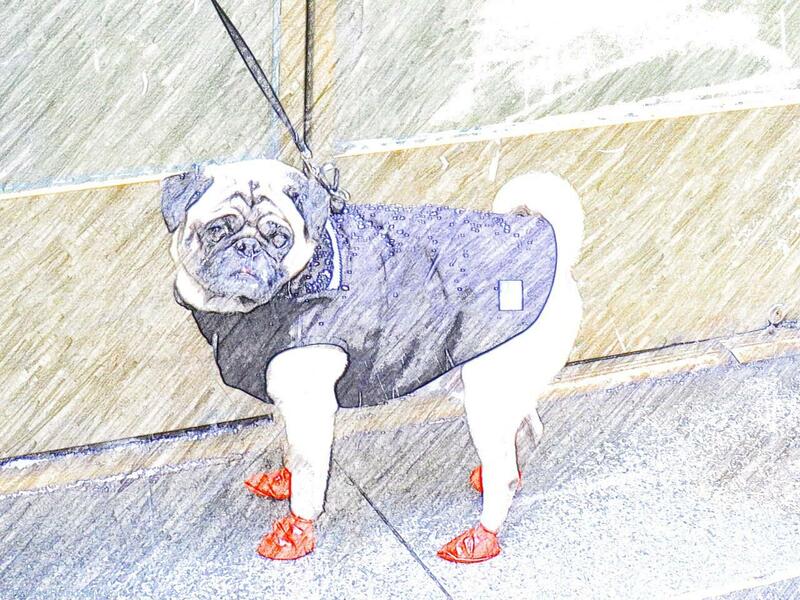 Spotting fancy dog coats has become one of the highlights of our first New York winter. It’s just not something you see in England, and is a real novelty. We’ve turned it into a bit of a game on the walk to and from school – who can spot the brightest, fancy dog outfits? So far, every owner or walker has let us swoop down and admire the dog, and is happy to let them be photographed. In January I posted a shot of a v disgruntled-looking pug during Snowstorm Juno, and it got such a great response I thought it merited a whole post. On the whole, it is the smaller breeds that wear the rubber bootees first reported back in October. Apartment prices seem to make small dogs v popular here, though you do see the occasional bigger dog with a coat. My personal favourite was a large yellow Labrador, sporting a green and white knitted Christmas tree coat. Sadly, by the time I’d fumbled for my camera with frozen fingers, he’d already vanished round the block. High: Getting out of New York for a long weekend over the mid-winter break. We hired a sturdy 4×4 car and rented a cottage in Greenport, The Hamptons, with another expat family. Local New Yorkers thought we were crazy to go to The Hamptons in mid winter, and it was even colder than NYC, but we had a great time. 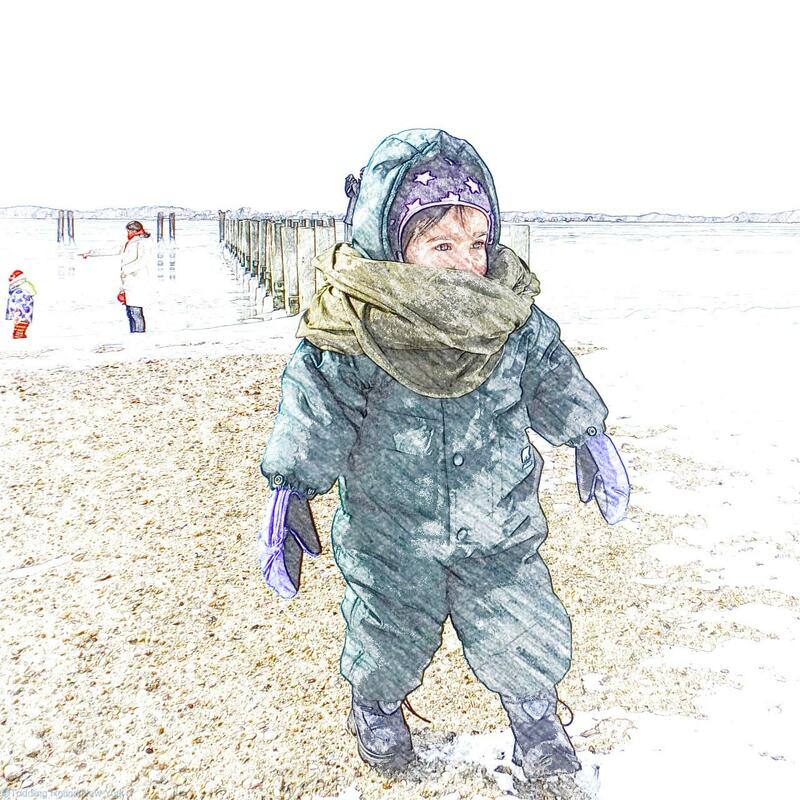 The kids adored having a garden full of clean, untouched snow to romp about in, and we managed to find a deserted seaside playground, overlooking a frozen bay. Perfect. Low: That crunchy, gritty feeling in your socks whenever I fail to dutifully vacuum the hallway every day. Shoes and pram wheels are plastered in salt and grit, which manages to spread throughout the apartment. But am finding there is a finite patience for vacuuming. Sometimes I just can’t face it.